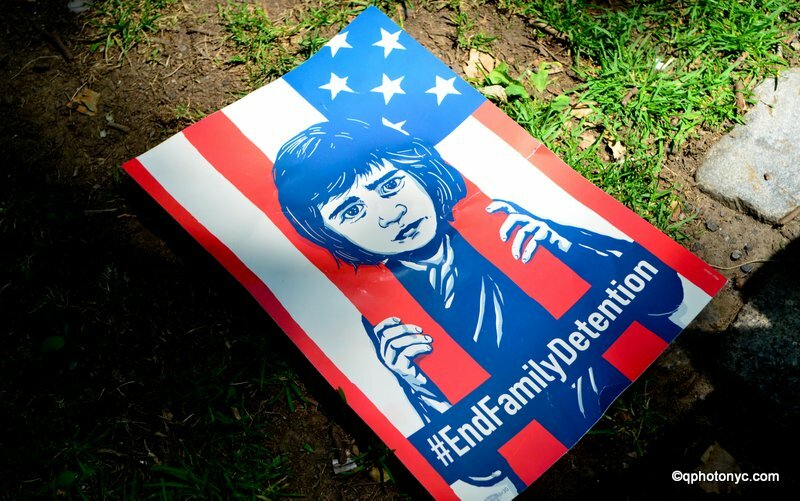 This past Saturday rallies were held across America in opposition to the administration’s policy of separating asylum-seeking families at the border. Here in New York City, thousands marched across the Brooklyn Bridge from Manhattan to Boro Hall where a rally was held. Speaker after speaker condemned the policy, demanded answers about the children’s welfare and whereabouts, and vowed political action. New York City Comptroller Scott M. Stringer told the Gazette, “When Inwood comes to Brooklyn that means a movement has been born.” Council Member Ydanis Rodriguez, Rev. Al Sharpton, U.S. Rep. Jerrold Nadler, and actor Amy Schumer were also sighted at the rally. Revolution Books spokesperson Andy Zee said “attacks on immigrants are the battering ram of a bigger fascist agenda against the environment.” He said organizing mass demonstrations, day after day in key cities, in a sustained way is “the only way out of this nightmare.” He cited the examples of South Korea 2 years ago and Armenia 2 months ago where this tactic successfully drove out their leaders. Mike from National Alliance for Filipino Concerns said as many as a quarter of immigrants from the Philippines are facing insecurity about their status. Because of the labor export policy, many people in the Philippines are driven to work outside their home country. It began under Marcos and is being enforced by Duterte. It formalizes human trafficking and keeps the country stuck in an agrarian economy largely dominated by China and the USA. Next Editorial: Happy Birthday USA!